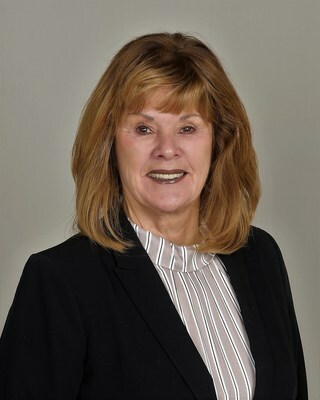 STRATFORD, Conn., Feb. 12, 2019 /PRNewswire/ -- A leading national provider of healthcare inventory control and end-to-end supply chain cost management software and services, Syft® today announced industry expert, Marita Parks, RN, MHA, has been named to the executive team in the role of Chief Nursing Officer. As CNO, Parks will be deeply involved with customer engagements assisting hospitals on the path to a more efficient, clinically-focused supply chain. She will also serve as a thought leader for various industry groups and professional organizations. Parks offers a unique perspective to clinical supply chain with nearly forty years' experience working with care providers, supplier organizations, and in the standards arena with the Association of periOperative Registered Nurses (AORN). As Vice President of Performance Consulting at Mercy Health System, the fifth largest Catholic health system in the U.S., Parks was pivotal in developing partnerships and programs with group purchasing organizations to reduce supply chain costs. From a supplier perspective, Parks has held various leadership roles at Fortune 500 companies including Cardinal Health and her most recent position at Stryker. "Recent studies show that supply chain costs will surpass labor costs by 2020.1 Meanwhile, hospitals are already struggling more than ever to keep costs down while maintaining quality patient care," said Parks. "With programs like the Bundled Payments for Care Improvement (BPCI and BPCI-Advanced) adding to the pressure, healthcare leaders need to partner with their supply chain to identify cost saving opportunities. As CNO, I am excited to have clinicians involved in this process, so they can better understand how an optimized supply chain leads to better clinical decision-making support and ultimately better patient outcomes." "We are thrilled to have someone of Marita's background, knowledge and presence," said Todd Plesko, Syft's CEO. "Marita will provide a tremendous amount of real-world experience and clinical workflow acumen to our team. She will be a key contributor to product development and clinical implementations as she fully understands what tools and data caregivers need and want and how to put those tools into the clinician's hands with minimal disruption. We have the right technology at the right time and now with Marita supporting our team, we are fully prepared to transform how healthcare thinks of clinical supply chain management." Syft® enables enterprise-wide inventory management through a powerful combination of services, automation tools, and real-time data analytics. The comprehensive Syft Synergy® platform eliminates the need for multiple point solutions and facilitates immediate supply savings with a range of capabilities including master data management, inventory services, supply chain management software, analytics, and advanced reporting. Founded in 1999, Syft is used by more than 500 U.S. hospitals and health systems to control costs, processes, and productivity across the entire organization. For more information, visit Syft at www.syftco.com. 1 Healthcare Finance News: 7 supply chain predictions for healthcare in 2019. Dec. 31. 2018.